About two weeks ago, we got the unexpected news that the Naked Pizza chain was closing shop. I sought out Ritesh, the owner, and face, of the Naked Pizza Kenya franchise to ask about what happened. We met for coffee at one Artcaffé, and he spoke about his background as a career investment banker who had lived an “up in the air” lifestyle (see the George Clooney movie) – at Credit Suisse and HSBC. He worked in Africa, Europe, Middle East and the US. When he stepped away from banking, he started advising a few companies that were trying to restructure their operations. One of them was in the UK health sector. In the process, he bid alongside other investors and was the top bidder. And just a few months after he restructured and re-launched it, another health company bought him out. When he first started scouting the food business, no pizza brands were interested in Africa. He convinced Naked Pizza executives to meet him in Dubai when they toured their operation there. 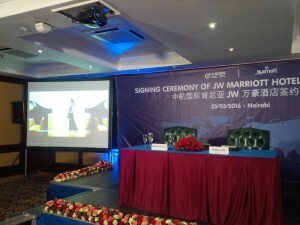 He then flew them to Nairobi and won them over and they signed a deal with him for the Kenya franchise. He then trained for a few weeks at Naked Pizza in Dubai, including in one of their pizza stores. He returned to Kenya and set out to hire a team, for which he paid above market rates for his staff. Some people working at other Nairobi pizza chains also applied, but after interviewing them, he shied away from them, as he felt they had in-built attitudes and practices. He preferred newbies to the food business. Setting up took longer. They had to import equipment and build a supply chain with companies who would deliver quality cheese, meats, grains, and vegetables to be ever fresh. The (Westlands) store location was not ideal for some (like me), but it worked – as 85-90% of their pizza business was deliveries. And being in that building was about 1/3 of the cost of setting up in a mall. They had a soft launch, with a focus on product, customer, and delivery. i.e. to get fast deliveries of great pizza to happy customers. In the early days they built their own neighbourhood mapping system to ensure fast deliveries. He also got on the bike and did deliveries with the riders, as the teams noted unique Nairobi details (“e.g. the blue gate on Parklands Road, after three bumps”), which they then added into the ordering system to ensure faster deliveries in the future. On some days when orders came in, and all the delivery motorbikes were out, he’d sometimes grab a pizza and do the delivery with his car. They started with deliveries near the store, and slowly increased i.e. from a store radius of 5 minutes, then 10, then accepting orders to neighbourhoods within 15 minutes radius of the store. This was a challenge as people from further would call and ask for pizza, and they would have to decline orders, as they were outside the radius. They had opened shortly before the 2013 Kenya election, and on election day, they became an object of curiosity with their commitment to remain open and deliver pizza on election day. They also ensured that all their staff got to vote, by having them take different work shifts. International media came to cover the pizzeria that vowed it would be open to serve customers, despite the wide international fear that Kenya’s election would again be violent. The Kenya election may also have been a turning point for him in ways that he did not realise till much later. The election news coverage was noticed in the USA – by some pizza managers who did not associate pizza with Africa, but could now see Ritesh on CNN. They never had to market the chain. They got a lot of mileage from a fun twitter account that he ran by himself, before he handed it over to a keen staff member. They would tweet on customers, deliveries, and suppliers, and also when rival pizza owners would come to eat at Naked Pizza and see what was drawing their customers. He resisted doing promotions like the buy one get one free pizza that captivates many in Nairobi. They had loyal customers who kept ordering more pizza. There were also some awkward moments with the customers – like some who ordered pizza, while they were on a date somewhere, but the pizza was taken to their house (which was listed in Naked Pizza system) – and that was a surprise! Or others who ordered the smallest food item to go along with a large quantity of reasonably priced alcohol to be delivered by Naked Pizza just before 11 .P.M. Ritesh couldn’t talk about numbers paid for the exit (Pizza Hut bought the restaurant operations of Naked Pizza). One of the things he negotiated for in the deal, was for the buyers’ company to take on all his Naked Pizza staff to work in their different companies. But the departure was not about the difficulty of the business, which was a success, but one full of battles that were not necessary. He had a whole wall of licenses (as does every Kenyan business, that any government inspector could walk in and ask to see any of a dozen different licenses at any given time), equipment that got stuck at the port with demands for bribes, they did well on tenders that were later canceled and re-advertised, there were phone calls, arrest and harassment of delivery motorcycle riders etc. The decision to exit was not instant. Soon after he signed on for the franchise, an investor power shift took places at Naked Pizza headquarters that ejected the key partners who he had negotiated with. This left him without crucial mentorship and support that he needed. He got some help in Nairobi – where some food executives such as Kevin Ashley (Java) and Gavin Bell (Kengeles), welcomed him and advised him. But others, especially in the pizza sector were not as welcoming. As he’d grown the business, he’d scaled back the ambitions he had – his initial plan was for 15 stores, then 10, and then 5. Eventually, they opened three stores in three years. Pizza’s need customers and there are some industry numbers that are true no matter what country you are in the world e.g. one pizza store needs to serve 50,000 households in the area. Also a new store opening nearby can drop the sales of a pizza restaurant by 30–40% instantly, which they could expect and could build back these numbers over the next few months. But the more pizza stores that are in an area, the more buyers everyone would have to find. And he really didn’t see the market, that other global brands were now chasing. Nairobi now had Pizza Hut and Domino’s Pizza. The new entrants, inspired by “Africa Rising” statistics (and his CNN and CNBC stories!) were ambitious and opened stores at a rapid clip, and had plans to open many more in locations that did not make apparent sense to him. He own findings did not show that there was a prosperous middle class, ready and able, to buy quality pizza in Nairobi. This entry was posted in Investing in Kenya, M&A, Nairobi City Council, Nairobi cost of living and tagged Africa Rising, Pizza on June 12, 2016 by bankelele. Today brought a series of tweets from the fabulous pizza chain, Naked Pizza Kenya that communicated their exit from the pizza business. It’s with sadness that we closed for the final time yesterday & wanted to say a BIG THANKS to our fans, customers, suppliers & Tribe! For 3 years, 6 months, 1 week & 4 days, we had the pleasure of serving over 200,000 pizzas and made more than 100,000 deliveries on time. We’re incredibly touched by the kind words & memories so many of you are sharing about getting Naked*. Asante sana! We’ll miss (most of) you, but all good things must come to an end! 🙂 And for the record, our operations are being taken over by Pizza Hut. This was bit of a shock, as Naked Pizza was one of my favorites pizza places in Nairobi. 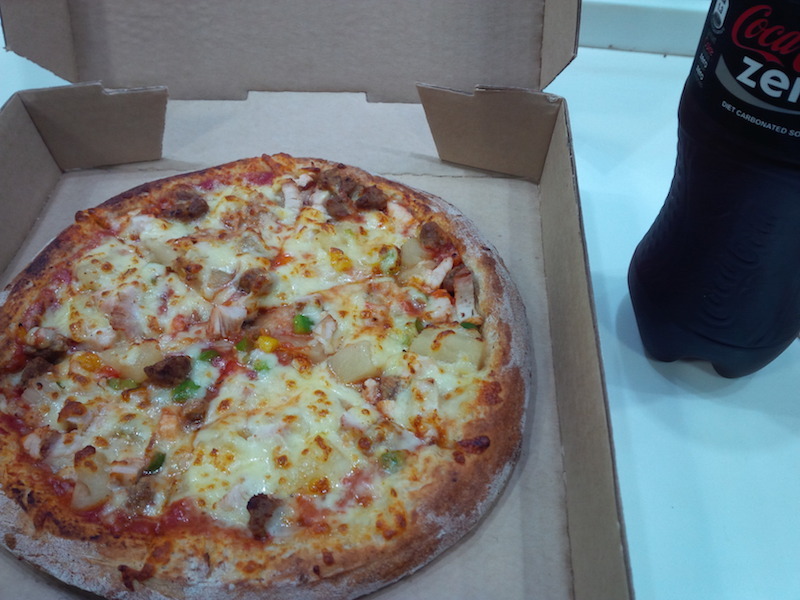 They had fresh pizza in which you could taste all the real the ingredients and this was backed by friendly staff and efficient service They employed a super delivery model that promised and delivered pizzas with a target of 15 minutes. They also tweeted their challenges like when police arrested their delivery bike riders, when their generator or phones lines failed, or when armed county health officers raided their restaurant a few weeks after they opened. But clearly, they had challenges, starting with their location. They had just one location in there first, horribly situated in an office block with no parking, and far from any other mall. I’d often park at Sarit Center, have errands and meetings, then walk to Fedha Plaza, about 1/2 Km away as the building had no parking. They did well with the site and they later opened a restaurant at Mombasa Road to serve the other side of town. While right from the start, they had demand from customers, near and far – with requests for pizzas from as far as Kiambu, and (the state of) Rongai, they never got to reach them. If a location did not fit their 15-minute radius, they turned down orders. They also did not have the discounted or free pizzas that many Nairobians demand and which other chains do on some days (Terrific Tuesday, Pizza Friday), or evenings (happy hour). When they raised their prices last October, I emailed Naked Pizza and Ritesh Doshi wrote back with some interesting insights about the evolving pizza market in Nairobi, one which he said bigger brands would survive. More on that later.. This entry was posted in Investing in Kenya, M&A, Nairobi City Council, Nairobi cost of living and tagged Pizza on May 23, 2016 by bankelele. At the IBM Research Africa Lab in Nairobi today, there was a briefing before a US Trade delegation on the upcoming visit by US President Obama. 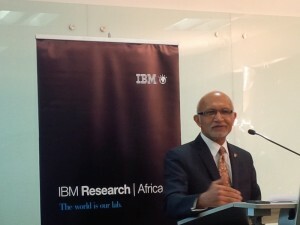 Kamal Bhattacharya, the Vice president – IBM research Africa, said the Lab is IBM’s only commercial research lab on the African continent (opened in 2013), and only the 12th research lab (in 70 years). Research has been a part of almost every technology leap and they have 50 researchers in Nairobi (half of who are women), some from diaspora, and some from local top schools, who now make Kenya their home. In two years between 100 and 150 students have passed through the Lab and they plan to create a leadership academy that will have a masters online course in partnership with Georgia Tech for the top students. The Lab currently focuses on financial inclusion, energy, water & agriculture, healthcare, and education. Kamal said the biggest opportunity in Africa is around data, and there’s little insight into how things work (or don’t!) because not enough data is collected. 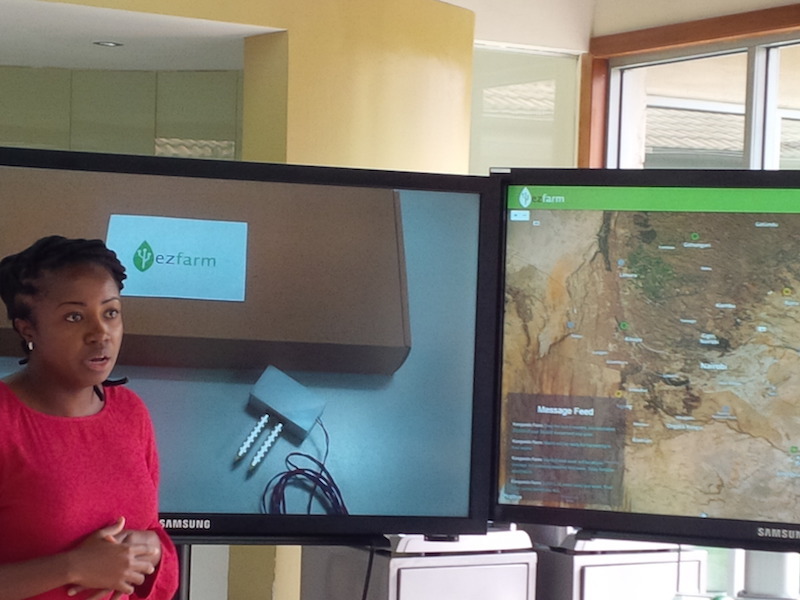 There are 15 million farmers in Kenya and still not much is known about their daily work and the challenges they face, so IBM is building tech that can measure these things and engage them with urban entrepreneurs and connect them to market opportunities. 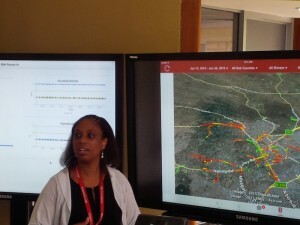 There were some side demonstrations of some projects that IBM Research teams are working on. The first was on traffic mobility. Nairobi loses a colossal amount in traffic per day and an IBM study found it the 4th most-stressful city for drivers (after Mexico City, Shenzhen and Beijing). The team is doing research to sense how drivers react and vehicles behave as they negotiate typical obstacles on a Nairobi street such as potholes, and bumps of varying sizes. Also, the Nairobi City County Government is working with IBM Research Africa to improve the efficiency of their solid waste collection fleet. Some trucks were fitted with smart devices and officials are able to monitor, in real-time, speed, location, fuel consumption etc. Since the partnership started, the government has gone from collecting 800 tons to 1,400 tons of solid waste a day and they have learn a lot more about their vehicle operation, traffic patterns, and the state of the roads. 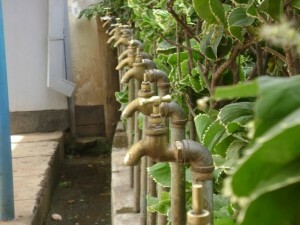 Another research project was on Ez-Farm water management for agriculture. 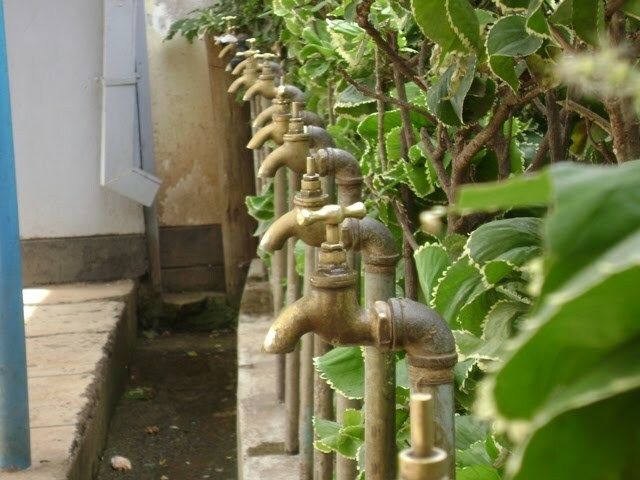 Many of today’s farmers are people, called telephone farmers, who are motivated, moneyed, and keen people (like bank managers or teachers) who want to invest and succeed in agriculture, but who reside in cities (not on their farms) and need better reports on inputs & operations – and water usage is one of the most important elements in a farms’ success. The Lab is running a pilot program with several farmers (there’s a long list of people want to sign up with IBM). Ultimately, when there’s a poor harvest or crops failure at a farm, or other challenges (brown stains on tomato which indicate stress during production), many farmers are not sure if it is due to water, soil, fertilizer, disease or other cause. Some of the sensors they are using on the test farms are water tank sensors and soil moisture sensors. Later on, they plan to link with Kenya’s Meteorological Service to build in rainfall patterns and predictions into an eventual app. 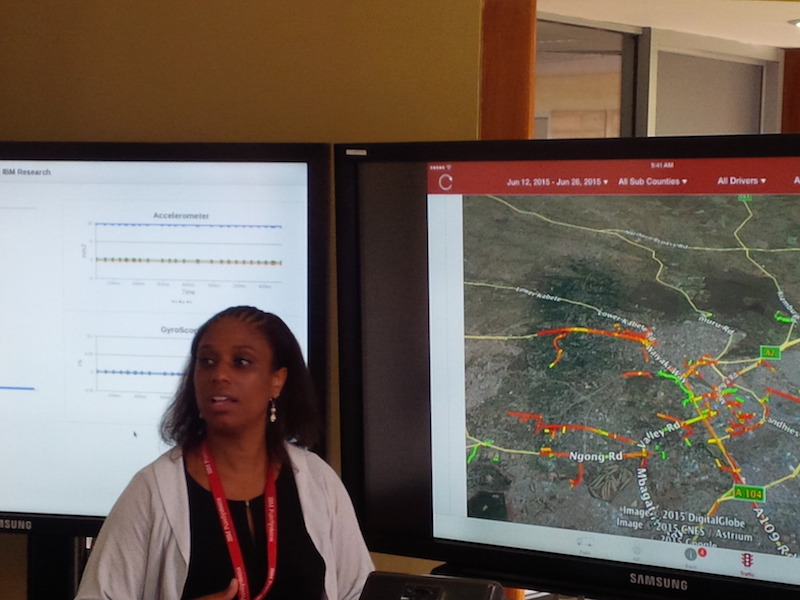 The IBM Research demos were done for the delegation led by Assistant Secretary Arun Kumar, that has been to Mozambique, South Africa, and now Kenya. On the upcoming Global Entrepreneurship Summit (GES), they couldn’t give much detail, but that it’s going to be big. The genesis of having the GES in Africa actually comes from President Obama’s 2009 speech in Cairo (which may have also triggered other events). That led to a shifting in the aid to trade paradigm and a push for more regional trade/intra-Africa, and Kenya is leader in the East African Community. The US President will lead a 1,200 strong delegation with the Secretary of Commerce and entrepreneurs, and business leaders in education, government etc. Kumar said that systems and analytics being developed at IBM Research to drive around potholes will also have uses in many other cities, beyond Nairobi. This entry was posted in IBM, Nairobi City Council, SME solutions on June 27, 2015 by bankelele.